Saga Magazine's February 2019 issue's highlights include interviews with Richard E Grant and Ardal O'Hanlon, and much more. Carlton's top tips should help you beat depreciation and get a good price for your car. Holiday flings can become lasting relationships if you know what to look out for. 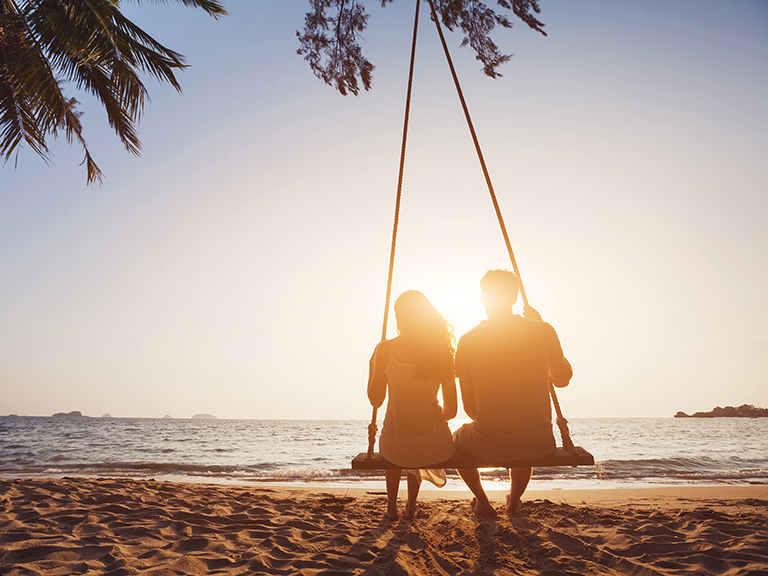 Find out how to give a holiday romance the best chance of working. Fashion guru Alyson Walsh on how to layer up, not bundle up. We asked two of our regular dating column contributors for their conversation on a first date tips; here’s the result! From the Standard Vanguard to the Vauxhall Cresta, we take a nostalgic look back at the family favourites of the 1950s. The star of BBC One’s Death in Paradise, who started his career as a stand-up comedian before rocketing to fame playing Father Dougal McGuire in Father Ted, is 53. As he embarks on a new tour this month, Gillian Rowe asks how old is he really in his head? Solo travelling: whether you are looking to explore a far-flung destination, meet like-minded people with similar interests, or simply enjoy a relaxing break, the world is certainly your oyster on a singles holiday. Find out how Richard E Grant overcame a challenging childhood and made peace with his parents to live life to the full. Gardening expert Val Bourne explains the pros and cons of bare-root plants, and how to grow bare-root roses, trees and hedging. A selection of delicious recipes from China, Japan, Thailand and more. If you've ever wondered what really puts buyers off and lowers the value of your home, here are the answers, from pets to parking – even swimming pools! If winter leaves you feeling lethargic and listless, follow these terrific tips to give yourself a lift. Read gardening expert Val Bourne on the best cherry trees to grow for early colour, including a look at the award-wining Prunus 'Kursar'.